I would like to calculate the profit margin and gross profit percentage for BHP in 2017. Which one is it? The revenue is 38,285, and I am supposed to take out the "cost of sold products". But there isn't any. Does that mean that the Gross profit is indeed $38,285? I am puzzled because Fortescue, a competitor, DOES show operating expenses. The two income statements follow! 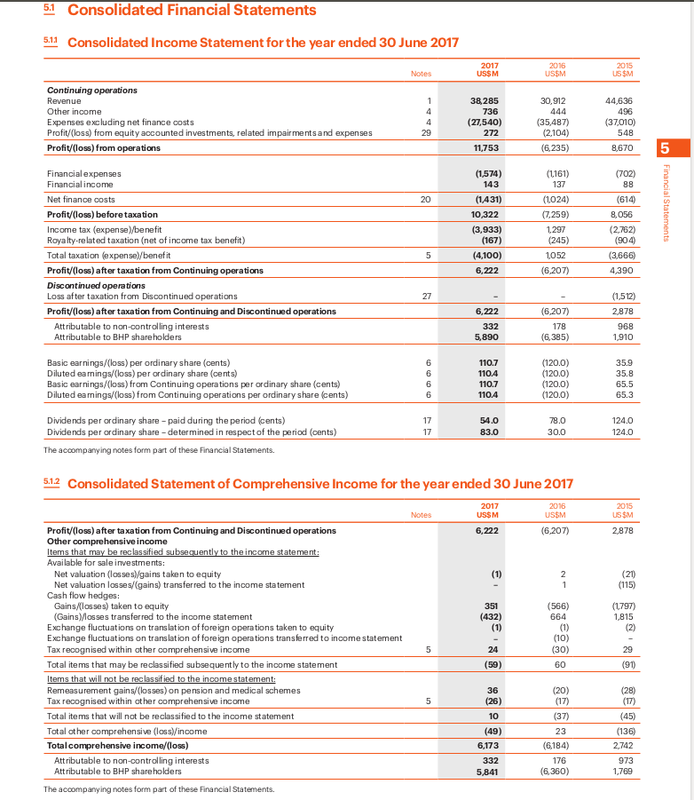 Both companies referenced above report under IFRS (or at least the Australian equivilent), however, they seperate costs differently -- BHP under nature of expense method and FMG under function of expense method. 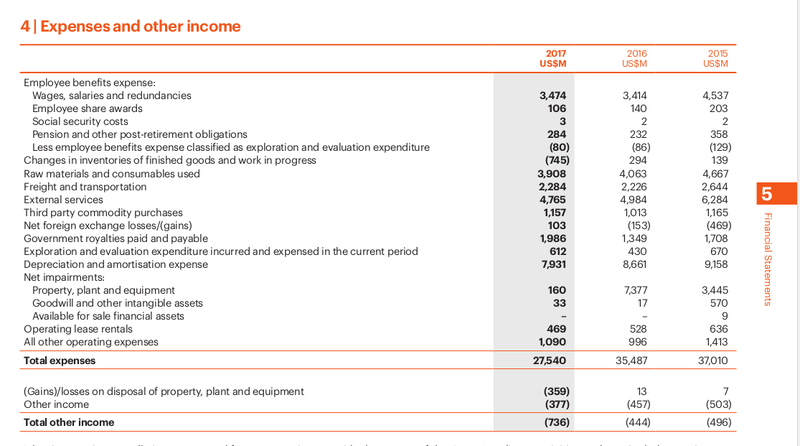 You can see the same mismatch in cost reporting between Vale and Rio Tinto. As such, you won't (easily) be able to determine cost of sale -- or by extension, gross profit by an entity reporting under nature of expense. This shouldn't really deter you analysis -- a cost breakdown should still have been presented for each cash-generating unit (CGU). That should allow you an indication of where CAPital EXpenditure (CAPEX) and income is occurring. 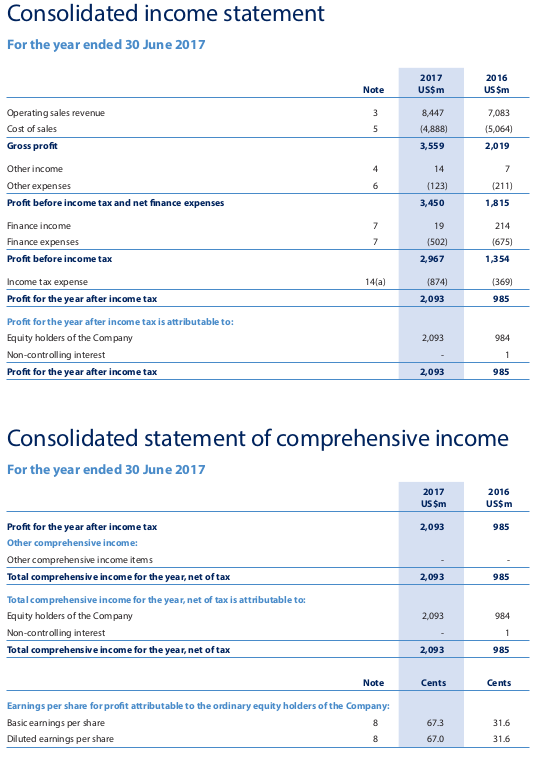 (The all-in gross profit of BHP isn't actually that helpful without considering the underlying production mix for that year). Not the answer you're looking for? Browse other questions tagged ratio income-statement or ask your own question. Few questions related to Balance sheet and Income Statement?